Jonathan Weiner, MD, is a Delivery Science Research Fellow at the Kaiser Permanente Northern California Division of Research. 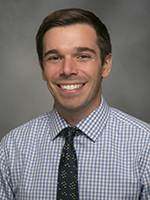 His work focuses on evaluating integrated care models for patients with complex medical conditions. He is also interested in the treatment of chronic diseases near the end of life. Currently, he is studying insulin use in elderly populations with type 2 diabetes. Dr. Weiner received his BA in Biology at the University of Pennsylvania and an MD from the Icahn School of Medicine at Mount Sinai. He completed his internal medicine residency at the Massachusetts General Hospital in Boston.